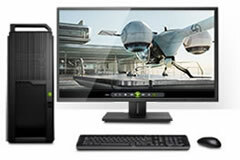 Speed up your PC multimedia experience. Upgrade to the new NVIDIA GeForce GT 730 dedicated graphics card and get super-fast web browsing, plus incredible photo and video editing. 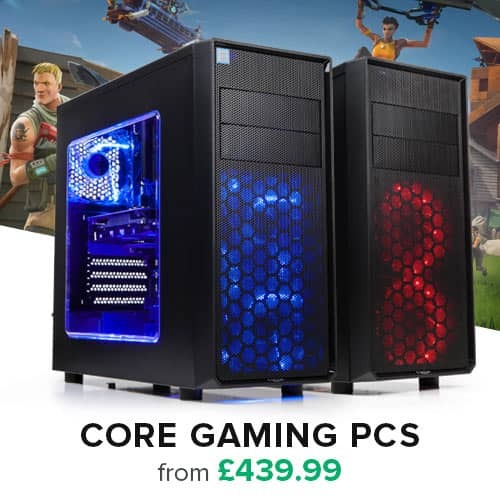 The GT 730 also delivers 3X faster gaming performance than integrated graphics while delivering rock-solid reliability and stability with GeForce Experience. Using high quality components on graphics cards is the key factor for having a long lasting, stable and reliable product. GIGABYTE is again setting a new standard by using Ferrite Core Chokes, Low RDS (on) MOSFET and Lower ESR Solid Capacitors, providing the stability and reliability from their high-end graphics solution. 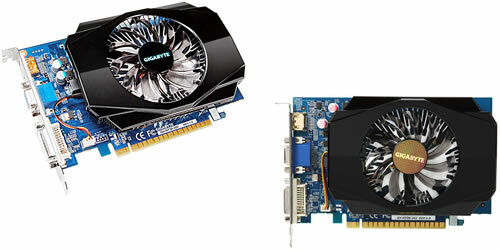 In addition, GIGABYTE Ultra Durable 2 Edition graphics cards now feature a sophisticated layout topology. 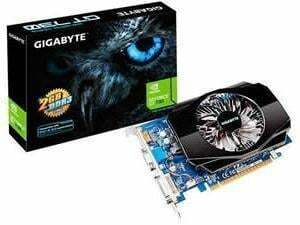 This state-of-the-art power design from GIGABYTE delivers the ideal integration of thermal, electric characteristics, digital signals, power circuitry and optimum placement of components for enhanced graphics performance. GIGABYTE custom-designed 80 mm cooler, with air flow optimized cover and aluminum base. The cooler can dissipate heat effectively from the GPU while keeping the fan at lower speed and noise. Brand-new instinctive user interface, easier to monitor and adjust all important settings. Users can set up MONITORING, GPU CLOCK, MEMORY CLOCK, FAN, GPU VOLTAGE, Memory VOLTAGE, OSD, ONLINE SUPPORT and update driver, BIOS directly. Accelerate your entire PC experience with a new NVIDIA GeForce GT graphics card. Upgrade from integrated graphics to a GeForce GT series GPU and get the speed you need to keep up with today’s most demanding PC applications. Enjoy all your videos and pictures at HD resolutions with up to 10X faster video editing, 9X faster web browsing and 13X faster photo editing. Plus, drive up to three HD displays with a single card. Play modern games like World of Tanks and Infinite Crisis with a faster, smoother, more dependable GPU. With up to 4X faster performance than integrated graphics, you can experience modern gaming for the first time. Want to know the best settings to play your games? GeForce Experience will figure it out for you. GeForce Experience connects you to NVIDIA’s cloud datacenter to download optimal game settings tailored to your PC based on your CPU, GPU and monitor. Optimal settings maximize image quality while maintaining great performance so you get the best experience. A built-in interactive screenshot viewer helps you learn more about each setting and their benefits. The GeForce Experience application automatically notifies you of new driver releases from NVIDIA. With a single click, you’ll be able to update the driver directly, without leaving your desktop.